Unleash your inner grill master, grab your family and friends, and fire up the grill! 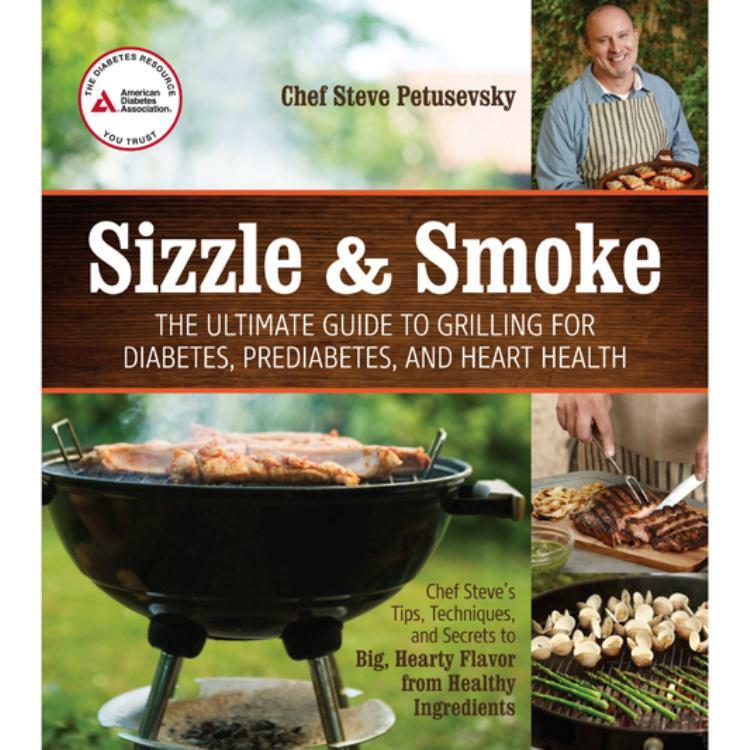 Sizzle & Smoke is the first grilling book designed specifically for people with diabetes or prediabetes. While many classic grill-top recipes are packed with fat and calories, grilling is a naturally low-fat method of cooking. This collection uses lean meats and vegetarian dishes to deliver the smoky, natural flavor only a grill can provide. Featuring 125 flavor-filled, mouthwatering recipes, from lamb, beef, and poultry to marinades, rubs, and even desserts—it's all here in one collection. The flavors are bold, with a minimal amount of fuss. Whether you grill with charcoal, gas, or an indoor grill pan, Sizzle & Smoke is the perfect resource for the BBQ chef looking to cut calories and pounds without cutting out the fun and flavor. I received this cookbook as a gift and recently tried the Mexican Street Corn recipe. Excellent. Looking forward to many more meals on the grill.